Counseling can take a number of forms. The decision about which type of service may be appropriate is based on many factors, including your current concerns and needs, your counseling history, scheduling considerations, and availability of resources. Our goal in this process is to find the best way to attend to your concerns in the most effective and efficient way. Counseling and Psychological Services (CAPS) offers the following services and works within a brief therapy model. If you are interested in making an appointment, want to learn more about our confidentiality policy, or have additional questions, visit the above links for more information. If you attend the Rosen College of Hospitality Management, you can learn more about your options by visiting this link. All registered UCF students are entitled to an initial assessment to determine what the focus of therapy will be and what type of services are most appropriate for a particular problem. In a one-on-one interaction with a counselor, you are helped to express feelings, examine thoughts and beliefs, reflect on patterns of behavior, and work toward making healthy changes in your life. Groups led by professional staff offer students a supportive and stimulating environment to explore common issues of concern. We encourage you to learn more about Group Counseling and to browse our complete list of current groups offered this semester at CAPS. Couples may seek premarital, marital, divorce, sexual adjustment, or alternative life-style counseling. Any two students, such as roommates, may also utilize this service to improve their relationship or to work out communication problems. Both students must be enrolled at UCF to be eligible. Our staff offers crisis intervention services during regular office hours. Students under 18 years of age can be seen on a limited basis without parental consent while they are in crisis. Check our Emergency Services page for more information. The purpose of coaching is to develop your success and well-being through pursuing personal and professional goals. Having a life coach allows you to pursue your goals with greater clarity, helps you stay on track, and provides the support to stretch further in achieving your goals. Therapist Assisted Online (TAO) is an up to 8 week, interactive, online therapy program that provides assistance for anxiety, depression, and other concerns. TAO is based on well researched and highly effective strategies for helping students in these areas. 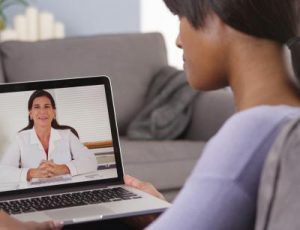 Throughout treatment, clients will watch videos and complete exercises individually for up to 2 hours per week, and then meet with a therapist via videoconferencing for a 10-15 minute appointment. 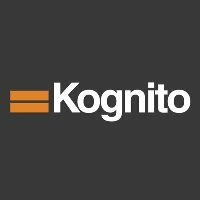 Kognito is a set of role-play, avatar modules to educate faculty, staff, and students about mental health and suicide prevention. The professional staff is available to present programs on a number of student developmental concerns. We invite you to inquire about our Outreach and Prevention Services and to browse the programs offered this semester as part of our Self-Discovery Knights at the Student Union. CAPS staff members engage in research on a variety of issues related to college student mental health as well as conduct ongoing evaluation of our services. Our research page includes current research projects, selected results from evaluation data, a monthly brief summary of research relevant to students, and information on how you can partner with CAPS on a research project. Our internship prepares trainees as strong generalists in the practice of psychology. The training is agency-based with opportunities to gain experience in CAPS functions such as clinical interviewing, individual, and group counseling/psychotherapy; consultation and outreach; supervision and training; and crisis intervention. UCF Counseling and Psychological Services occasionally receive requests from students/clients to provide documentation regarding their services and/or recommendations. 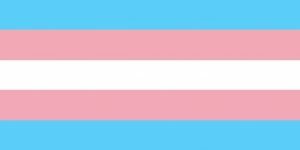 The Trans* Care Team at UCF CAPS provides support to students who are pursuing gender confirming procedures, specifically documentation for Hormone Replacement Therapy (HRT). The team is comprised of CAPS clinicians who have training & experience working with individuals with gender dysphoria and related concerns. Trans* Care Team providers work closely with you during the evaluation process to determine readiness for hormone therapy based on WPATH Standards of Care & an appropriate treatment plan for related mental health concerns, if applicable. SATT is a team of professionals dedicated to the treatment and care of substance use disorders and related concerns. CAPS clinicians as well as Behavioral Health Providers and Psychiatrists from Student Health Services (SHS) have joined together to help you. The SATT provides non-intensive outpatient management of substance use disorders. All students who consent to SATT services are required to complete the following initial evaluations: Substance Abuse Assessment, Psychological Evaluation, and a Psychiatric Evaluation (when clinically indicated). Most of these services are free of charge to all enrolled UCF students. In the event that a student would benefit from longer term or more intensive treatment, the team will support the student in connecting and transitioning to an off-campus provider specializing in substance use disorder treatment. To get started, call CAPS or talk to your CAPS therapist or talk to one of the medical providers at SHS. EDMT is a team of professionals dedicated to the treatment and care of eating disorders and body image concerns. 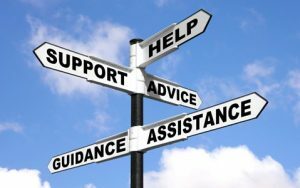 Counseling and Psychological Services (CAPS) clinicians as well as Medical Providers, Dietitians, and Psychiatrists from Student Health Services (SHS) have joined together to help you. The EDMT provides non-intensive outpatient management of eating disorders. All students who consent to EDMT services are required to complete the following initial evaluations: Medical Evaluation, Nutrition Evaluation, Psychological Evaluation, and a Psychiatric Evaluation (when clinically indicated). Most of these services are free of charge to all enrolled UCF students. In the event that a student would benefit from longer term or more intensive treatment, the team will support the student in connecting and transitioning to an off-campus provider specializing in eating disorder treatment. To get started, call CAPS or talk to your CAPS therapist or talk to one of the medical providers at SHS.